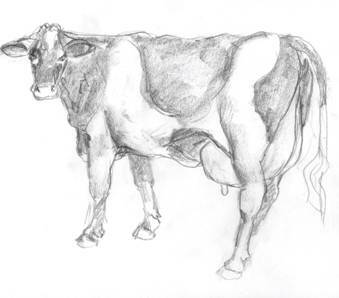 An outbreak of foot and mouth disease (FMD) occurred in England in February of 2001. So many cattle were killed getting the disease under control that the destructors could not cope with the number of cadavers: of the approx. seven million animals that were killed, 345,000 were burned in the open air. The infection continued to spread for a long time; to the Netherlands as well. In the spring of that year, a total of 26 cases of FMD were determined here and approx. 260,000 were killed. That is to say, 10,000 healthy animals for each affected animal. The destruction of animals on such a huge scale is almost unreal in countries that have laws to protect the welfare of every single animal. FMD is not a serious disease: affected cows recover spontaneously in two to three weeks. And the virus is not contagious for humans. Up until in the 50s, FMD outbreaks were common. Older farmers can still recall. Sick animals had blisters in the mouth and they drooled. And they would lie down a lot because they also developed blisters around their feet and hooves: which is why the disease is called foot and mouth disease. During such outbreaks, virtually all of the cattle on a farm would become infected in the course of time. It was therefore extremely contagious, but there were no fatalities. The farmer’s loss mainly concerned a decreased milk production. A vaccine was developed by the CDI (central veterinary science institute). As of 1953, all of the cattle in the Netherlands were vaccinated yearly, bringing the disease under control. The disease still occurred every once in a while. The cows on the contaminated farm were then slaughtered and the cattle on surrounding farms were given an extra vaccination to prevent the disease from spreading, the so-called ring vaccination. Thus the virus was isolated and the infection died out. 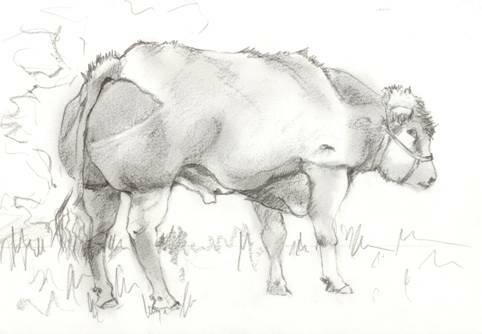 This approach was so successful that FMD ceased to occur altogether in the Netherlands as from 1984. Meanwhile, all of the cattle was vaccinated every year. The costs involved were huge and the export of meat to Japan became problematic as a result of that vaccination. And so an alternative solution became much needed. In response, the European Union imposed a non-vaccination policy in 1991: the FMD vaccination was done away with. Instead, in the event of an outbreak, all of the FMD-sensitive animals (cattle, sheep, goats and pigs) within a radius of two kilometres around the focus of the contamination were to be killed and destroyed (‘preventive slaughtering’) on neighbouring farms instead of being vaccinated (the former ring vaccination). This was expected to have the same effect on the spreading of the virus while being much less expensive than vaccinating all of the cattle every year. But roe deer, deer and wild boar are also sensitive to FMD and can spread the virus. And mice, rats and other vermin can transport the infective agent from one farm to another. The virus can be carried by birds, or even transported by the wind. But the worst cause of the spreading of the virus are the cattle transports. If a contamination is present somewhere, then the virus will have spread via the cattle-trucks to places far apart even before the diagnosis has been made. And the virus spreads quickly in non-vaccinated herds, making preventive slaughtering a draconian operation. The FMD-outbreak of 2001 in England, France and the Netherlands went hand in hand with disgusting television images. In March of 2001, for the first time since 1984, a case of FMD was determined in Olst (along the river IJssel) in calves that had been imported from France. Stringent measures were taken: a ban on the transport of livestock throughout the country. And the transport of animal products (meat, milk and eggs) was banned as well. As a consequence, the stocks of fresh products in supermarkets and shops became exhausted within a few days. But these measures proved not to stop the spreading of the virus. 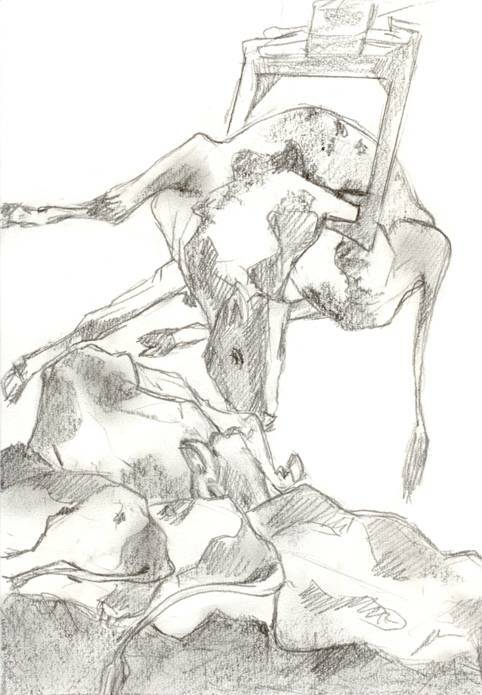 Finally, all of the cattle in the entire area between Apeldoorn, Deventer and Zwolle were killed and destroyed. Still, two farms in Friesland also became contaminated. There were also questionable cases in Brabant where cattle was cleared on a large scale. Further examination of the questionable animals from Sprang-Capelle, Maren-Kessel, Herpen and Berghem did not demonstrate the presence of MKZ. In hindsight, it was not necessary to clear all of the cattle, sheep, goats and pigs in those areas. It is April of 2001 and the persistent rumours concerning alleged cases of FMD in Brabant are in full swing. On the road in my car one morning, a farmer motions me to stop: “The veterinary surgeon is here and he thinks that we have foot and mouth!” The tension is evident in his voice. I park the car alongside the road and I cross the street, carrying only a thermometer, plastic gloves and a small light in my coat pocket. The gate to the property is closed; a bucket with disinfectant stands behind it. In my boots, I step into the bucket. 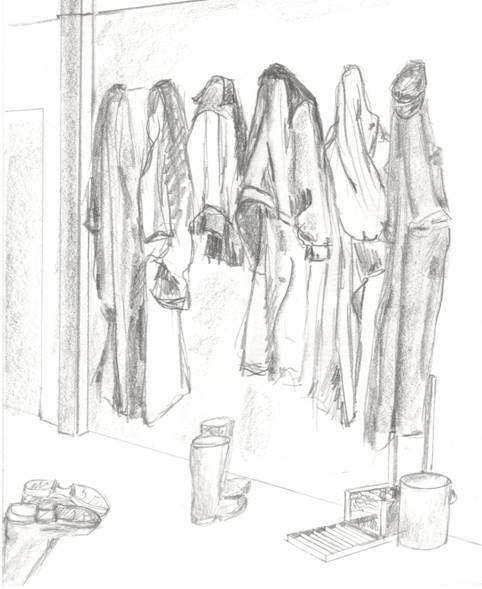 In the scullery, I substitute my dustcoat and boots with work clothing. The farmer’s wife tells me that they saw cows with foot and mouth disease on television and that her husband then said: “That’s the same as what we have.” Which is why they called the practice. In a large hall, around one hundred and twenty bulls are standing on both sides of the feed alley for the purpose of being fattened up prior to slaughtering. Thick pipes divide the animals into smaller groups of the same age. A mountain of corn chaff mixed with concentrate lies in front of the feed gate. The section near the entrance holds three animals of 6 months old; they are lethargic, with sunken flanks because they have not eaten; their tongues hanging from the mouth. Saliva is dripping onto the grid floor and into the manure drain. All of the other bulls look fine: they stand eating or lay calmly ruminating. I put on gloves and climb over the feed railing into the first pen. The animals have a fever, all three around 40º Celsius. There are no visible deviations to the nose and lips. But in the mouth, the mucous membrane of the tongue and cheeks has separated in various spots. These spots are fiery red. No visible symptoms on the feet or hooves: they have no blisters and are not lame. This appears to be mouth disease without foot disease. We decide to call the special emergency hotline anyway. Two members of the FMD-team in white work suits arrive 30 minutes later. They take samples from the mouths of the three bulls and record their ear numbers to send the tubes immediately to the laboratory in Lelystad. The experts assess the situation on the farm to be ‘seriously suspect’ and the consequences of that assessment are far-reaching: a start must be made with disposing of the animals that same day. Not only the hundred and twenty bulls on the farm concerned, but all of the livestock within a radius of two kilometres will be slaughtered as a preventive measure; not a single cow or sheep, pig or goat will remain in the village, including animals kept as a hobby. I point out that the bulls have no blisters on their feet or hooves. Thereupon the feet of the three patients are examined a second time: each foot is cleaned with a rag and scrutinised with a pocket torch. Again, no blisters or scabs. Still, the verdict remains: immediate disposal. There will be no waiting untill the next day for the laboratory results. And with that, he not only saves his own bulls, but all of the livestock in the village. Because the crisis team now has some doubt and decides to wait for the results of the lab tests the next morning. These results are negative: meaning no FMD. So no disposing of the cattle! Further extensive testing of the samples also does not indicate the FMD-virus. Did these bulls have mucosal disease? No, that impression was also incorrect. Because mucosal disease is always fatal and death always follows within a brief period. And these bulls had completely recovered after three days. How? When it became evident that the farm was not to be cleared, I gave the farmer three bottles of penicillin with which to treat the three sick bulls. Their health improved considerably after only one injection and they were eating as usual on day three. There is only one diagnosis that fits necrotizing inflammations in the mouth with a fever and with such results to treatment with (narrow spectrum) penicillin and that is: diphteria. Because the FMD-virus and the virus that causes mucosal disease are insensitive to penicillin, whereas the diphtheria bacillus is highly sensitive. These bulls only showed symptoms in the mouth (not in the larynx) and so the inflammation could be cured within a short time. The other livestock farmers in the village and the citizens with goats or sheep as a hobby never knew that their animals escaped by the skin of their teeth that day in April.